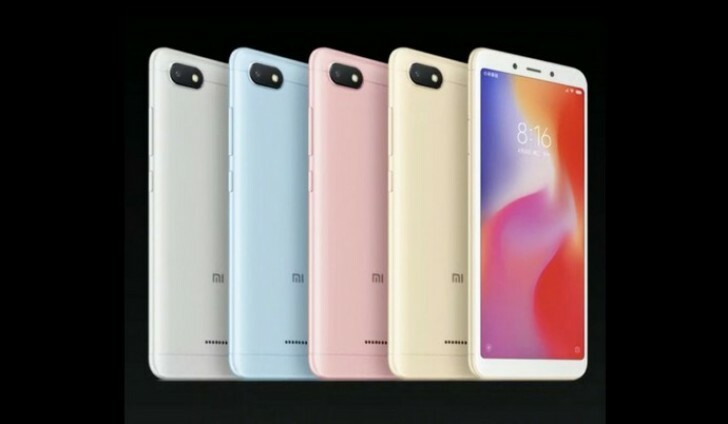 Just six months after the launch of the Redmi 5 series, Xiaomi introduced the Redmi 6 portfolio. Two phones with tall screens, dual cameras, and affordable prices were unveiled in front of the Chinese audience, but there was no word on arriving at global markets. According to a source, claiming to have exclusive information, the Redmi 6 and Redmi 6A will arrive in India “in two months”, which looks like a similar pattern to what Xiaomi did back at the beginning of 2018 with the Redmi 5 launch and expansion. The Redmi 6 comes with a fingerprint scanner on the back, and AI-infused face unlock, based on the standard Android feature. It also has MIUI 10 that should help with performance and photo snapping. The Redmi 6A has the same form factor but lacks the sensor on the back. It has a less powerful Helio A22 chipset (compared to the Helio P22 in the Redmi 6) and only one camera on the back. Both phones should be accompanied by the Redmi 6 Pro, still unannounced, but rumored to have a notch. If all the Redmi 6 phones arrive in India by the end of August, the prices should be between INR7,999 and INR9,999 for the Redmi 6 and around INR5,999 for the Redmi 6A. The Pro version is expected to have more storage and better dual cameras, and the source suggests a price tag of around INR12,000. Which company provide these things in under &#8377;10000.they only get 5% profit from hardware remember this. All things are settles now.